Opening hours: Most shops are open from Tuesdays to Saturdays between 9 am-12 pm and 3-7 pm. Most supermarkets are open Mondays to Saturdays between 8.30 am-12.30 pm and 3-7.30 pm, and have late closing on certain days. Most museums and sights keep similar hours, but are closed one day a week, usually Monday or Tuesday. 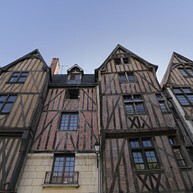 Tours, an ideal destination for lovers of historical and natural heritage, is known to many as the "City of art and history". 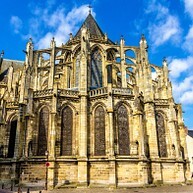 The city offers historical sites like the Old Town, Cathedral St Gatien, and the amazing art of Rembrandt and Rubens, which you can find in the Musée des Beaux Arts. After the obligatory cultural programme, take a romantic walk along the river Loire or head to a wine tasting, where you will be introduced to superb local wines. The half-timbered medieval houses line lanes date from Roman times. 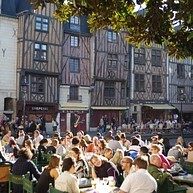 At its heart, relaxed Place Plumereau, the centre of Tours’ nightlife, is filled to the brim with café tables. The beautiful stained glass windows illuminate Cathedral St Gatien. 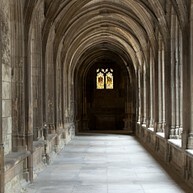 This majestic building includes Romanesque, Gothic, and Renaissance architecture, a real gem for everyone interested in architecture. Hôtel Goüin / Musée Archéologique is home of a 15th-century silk merchant and a masterpiece of ornate, lavish Renaissance decoration inside and out. 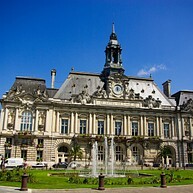 This is Tours’ main historical museum. This unique museum deals with the history of craft guilds that represented rope makers, wood turners, clog makers and similar occupations. 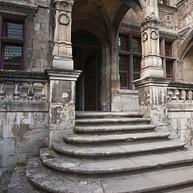 The museum was created in honour of fine workmanship. Right next to the museum you can find another museum about wine. 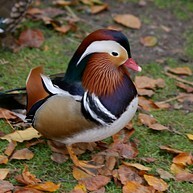 If you want to go out for a relaxing walk, the Loire is a great place to head for. You will find walkways alongside the river, perfect for pleasant and quiet walks beside the water. At Musée des Beaux Arts you can find works by Rubens, Rembrandt, Degas and Delacroix, all gathered here in the old Archbishops’ Palace. In the courtyard there is a 200-year-old tree and a 100-year-old stuffed circus elephant. Except for the greenhouses and lush greenery in the summer months, this Botanical Garden also houses a mini-zoo (which will surely delight the little ones), as well as many picnic-perfect areas. Place Plumereau is a bustling Tours city square that comes alive in the evenings, when students flock to it and restaurants start getting filled with people. Dining options abound in and around the area. Not at all a hotel, but rather Tours' City Hall, this imposing edifice is a must-see architectural landmark. Lit up by night, the building and the fountain complex next to it make for a somewhat magical sight.